When the day fills with thunderclouds and rainstorms, how do you keep going? You’re lived in and loved. But the comfort of it seems far from reach. The humid breeze fogs the windows of hope to the outside. The cool air on the inside freezes the heart. Why do you feel alone, spirit crushed and exhausted? Yet you have to keep going. You must get up regardless of the heaviness you bare. Wait just a moment. Let the peace overcome you. The quietness of the heart crying out for redemption. You matter in a world that complicates the day. You are lived in with the struggles that dangle from your sleeve. You are loved for being bold in your own way, created with a beautiful spirit. What do you want from your day? Do you want it to be joy-filled with uplifting promises you keep to yourself? Or do you want to slumber in the messes where you can snuggle up to the misery? You matter as the world seems to fall around you. The days are longer than the nights that keep you sleep walking. A moment of respite to catch your breath, only leaving you breathless for another day. Where do you place your hope? In whom do you trust? If only you could rewind the day with an order of love, peace, kindness, and compassion. How would that begin to heal your heart? The K.I.S.S. ~ Lived in and loved! You matter more than you know. You were created in the image of your Creator. God himself breathed life into you! He sees you when you are weeping. He hears the cries of joy that leap from your heart on a good day. He feels your pain when all goes to the dogs. He holds you close even when you run away. You are precious in His sight. God loves you for who you are. You are brave with courage that drowns out the muck filling your head. You are fearless, because of the King that fights your battles. As the day faces your heart, be present in each moment. Know the beauty of the unknown and make it your own. Cling to God for He blesses those who rely on His strength. Spread your wings and let His confidence overflow through each step you take. You are the child of a King. The bountiful blessings await. Be attentive to the good and the bad. Blessings surround your heart when you are lived in and loved. 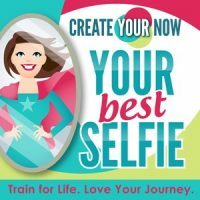 Filed Under: Create Your Now ~ Your Best Selfie Tagged with: hope, inspiration, love, motivation, YOU matter!